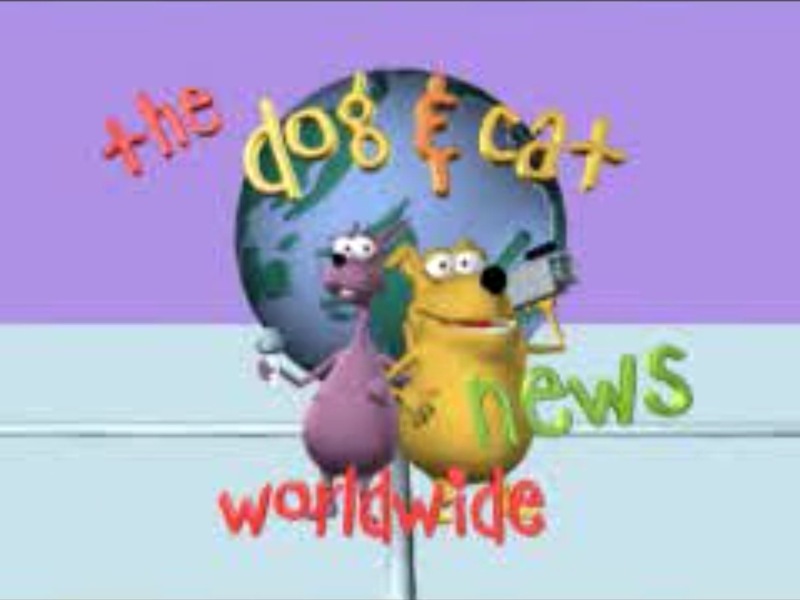 The Dog and Cat News is an Australian 3D animated children's comedy television/web cartoon series produced by Blue Rocket Productions and RTV Family Entertainment and was shown for a short time on ABC Kids (Australian Broadcasting Corporation) in the mid-2000s on Saturday mornings. The show had 2 seasons and 29 3 minute episodes were made in total. The show is presented by Tiddles Hardcase, the prim and proper lady cat, and Douglas Holes, the persistent prankster dog host. 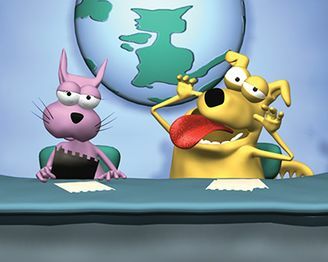 The two report the breaking news while struggling with their scripts, their composure, and their fleas. 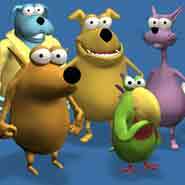 They are supported by a range of characters including Beakins, a self-centered parrot, Bill Webb, the clueless weather duck and Kent Catchem, the clumsy foreign correspondent dog. The show often does not go to plan because Douglas Holes is always interrupting or misbehaving. The show had its own website where clips from the show could be viewed. The website allowed for children to take a virtual tour of the studio and submit their own pet stories to feature on the site and the most popular would win a 'Golden Paw' award. 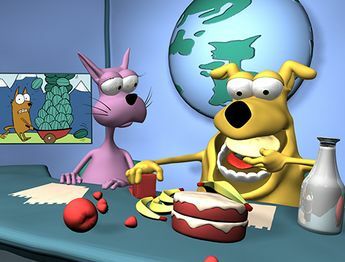 It also had various Flash games featuring characters from the show such as Beakins in Beakins' Great Mango Quest and Bill Webb in Raining Cats and Dogs. This website cannot be accessed anymore but some of the flash games are still playable on other websites. Some pictures from the show exist online. The full episode "Mystic Douglas" was posted on Vimeo by Blue Rocket Productions in 2014 and is the only footage of the show to be accessible online. It is unknown whether more episodes will surface online or will be re-released by Blue Rocket Productions or shown again on ABC. On December 18, 2018, six more episodes of the show were uploaded to YouTube by user Em Kram. Douglas gets ideas about going into space. Douglas tries a new form of expressionism. The Dog & Cat News gets demolished by Douglas. Promotional image with characters from the show. Promotional Blue Rocket Productions image.